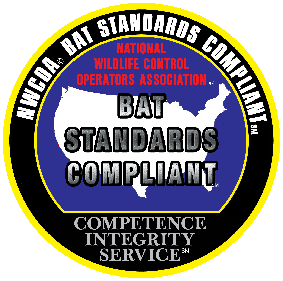 The tri-colored bat (formerly known as the eastern pipistrelle) was, historically, one of the most common species of bats found throughout the eastern forests of America – from Nova Scotia and Quebec, south throughout the east coast of Mexico into northern Central America. But, surprisingly little is known about its daytime summer or maternity roosts. These bats are among the first bats to emerge at dusk each night, and their appearance at tree-top level indicates that they may roost in foliage or in high tree cavities and crevices. They are not often found in buildings or in deep woods, seeming to prefer edge habitats near areas of mixed agricultural use. Where information about their foraging behavior is known, these bats have been found to feed on large hatches of grain moths emerging from corn cribs, indicating that they may be of important agricultural benefit. 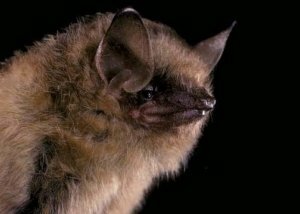 Tri-colored bat cannot withstand freezing temperatures and are among the first bats to enter hibernation each fall and among the last to emerge in spring. Hibernation sites are found deep within caves or mines in areas of relatively warm, stable temperatures. These bats have strong roost fidelity to their winter hibernation sites and may choose the exact same spot in a cave or mine from year to year. As with many forest bat species which spend their winters underground, far more is known about their hibernation habitats and behavior than is known about their summer needs. Due to their proclivity for humid hibernation sites, this species is among those impacted by white-nose syndrome. Because their populations are especially difficult to assess, measuring loss can be challenging. However, we have seen serious declines since the arrival of this disease.